If you’re new at purchasing real estate, then you might want to read this and then employ the help of reputable real estate agents. Pros have lots of resources you don’t, including computer software that allows one to effectively search all MLS listings. The MLS tools available to professionals are more detailed than those accessible by the average individual, and are able to advise you with greater accuracy and insight. Many first-time home buyers don’t bother to get prequalified. They, also, don’t take the time to shop around and find the best mortgage for their individual situation. It’s crucial to ask questions and make sure you fully understand the home loan process. Getting pre-approved gives the buyer a chance to find out how much home they can afford. A competent loan officer will tell the buyer not only the principal and interest payments per month, but also the estimated taxes, insurance and mortgage insurance monthly amounts. This gives the borrower a true number to work with in order to decide their comfort zone when looking at potential properties. Also, sellers will be more interested in negotiating with you, and accepting you as their purchaser, if you’re working with a good RE agent, and if you’ve already been pre-approved for a mortgage loan. If you are not pre-approved, it can lengthen the timeline of the purchasing process, and can result in additional costs. If you are looking to purchase some of or all of a building in order to open a business, make sure it is in a good neighborhood. When you open a business that is located in a poor neighborhood, most likely you will not have a large pool of customers. Real estate agents will be able to advise you as to the best places to open a business. It’s easy to get wrapped up in your present needs, but you should also think about reselling the home before you buy. The average first-time buyer expects to stay in a home for around 10 years, according to the National Association of REALTORS®’ 2013 Profile of Home Buyers and Sellers. Factor maintenance and repair costs into your buying budget, because even brand-new homes will require some work. Don’t leave yourself short and let your home deteriorate. As this article shows, buying real estate is not as complex as it seems. You must take some time to educate yourself and ask a lot of questions, but the potential profits are well worth the invested time. If you use the above tips, you should be able to make a wise decision on your next real estate purchase. Call me for your next good adventure..! What are the Top Tips for Buying a House? 10 things you should know when buying a home. 1. Don’t buy if you aren’t going to stay for a good long while. If you’re not committing to residing in one place for more than a few years, then owning your residence probably won’t serve you well, at least not yet. After the transaction costs of buying and selling your home, you’ll wind up losing money by selling sooner. 2. Start by cleaning up your credit. You will most likely need to secure a mortgage to purchase a house, so making sure your credit history is as good as possible is a must. Months before you start house hunting, be sure to get copies of your credit report. Make sure facts are correct, and fix any problems. 3. Look for a home you can comfortably manage to pay for. A good rule of thumb is to buy housing that runs about two-and-one-half times your annual salary. You’ll do better using one of many calculators online to get a better understanding of how your income, expenses, and debts affect how much you can afford. 4. If you can’t put down 20%, you may still be eligible for a loan. There are a number of private and public lenders who, if you qualify, can offer low-interest mortgages that require a smaller down payment. Though the Internet offers buyers exceptional access to property listings, most new buyers, and many more experienced ones, will do better using a professional real estate agent. You want an exclusive buyer agent in your corner who has your best interests at heart and will help you with better strategies during the bidding process. 6. Buy in a neighborhood that has good schools. This advice applies even if you don’t have school-age children, because strong school districts are a top priority for most home buyers, and help bolster property values. 7. Get yourself pre-approved before house hunting. Getting pre-approved and save yourself the grief of looking at houses you can’t afford. That puts you in a much better position to make an offer you can afford when you do find the home you want. Don’t confuse this with pre-qualification, which is based on a cursory review of your finances, pre-approval from a lender is based on your actual income, debt and credit history. 8. Do your homework before bidding. 9. Choose carefully between points and rate. When picking a mortgage, you usually have the option of paying additional points — a portion of the interest that you pay at closing — in exchange for a lower interest rate. If you stay in the house for a long time — say three to five years or more — it’s usually a better deal to take the points, as the lower interest rate will save you more money in the long run. 10. Hire a good home inspector. Sure, your lender will require a home appraisal, but that’s just the bank’s way of deciding whether the house is worth the money you’ve agreed to pay. You should hire your own home inspector, and preferably an engineer with experience doing home surveys in your area. Their job will be to point out problems and potential problems that could require expensive repairs now and down the road. Give me a call to help you cover all your bases for a smooth home buying experience. Investing in real estate is one of the best decisions you can make for your portfolio, but you probably already know that. Do you know, though, that you have numerous options and opportunities to invest in real estate in Dallas and all across the United States? Different types of investments are better suited to different investors and their goals for their careers and their portfolios. Whether you want entirely passive income or you are interested in having at least a semi-active part in your investment, there is an investment opportunity out there for you. Perhaps the most passive form of real estate investment available today, when you invest with an REIT, you will not take direct ownership of the property you invest in. Rather, you’ll buy shares of the REIT itself, which will be worth a percentage of the development or developments that it invests in. You will then see returns based on your investment – usually dispersed on a quarterly basis. 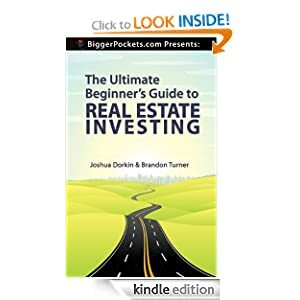 Investing with an REIT looks and feels very much like playing the stock market, as you’ll simply be buying shares in the REIT and you can sell your shares whenever you like. Depending on the REIT, the buy-in rate is also fairly low, making it an attractive option for new investors. REIT shares are not eligible for 1031 exchanges, though, so you will be responsible for paying capital gains taxes when you sell. Another hands-free option is to purchase a turnkey rental property. This kind of property will be move-in ready, and it will usually come with property management. Some properties even have tenants already living in them, so you can begin getting monthly or quarterly cash flow immediately. Because these properties are often single-family homes, your income from the property will depend on having tenants living in it. A gap in tenancy can result in a significant loss of income, but a good property management company will work hard to retain tenants and to replace them quickly when necessary. Also, because you will directly own the property, when you sell it will be eligible for a 1031 exchange, which means you can defer paying your capital gains tax on the property if you purchase another investment property within a certain amount of time. The newest type of real estate investing around, real estate crowdfunding platforms were only open to people who qualified as accredited investors until recently. Because accreditation only reflected net worth and/or annual income, though, it was not the best indicator of a good investor, and as of last year, with the passing of Title III of the JOBS Act, now anyone with the funds can invest in real estate crowdfunding. Like investing with an REIT, real estate crowdfunding is a form of equity investing, so you will not take direct ownership, and you may not perform a 1031 exchange if you sell your equity. However, this form of investing allows you to spread your investment capital over as many crowdfunded developments as you want, choosing exactly how much to invest in each. What 5 New Things Do Millennial Home Buyers Do? It seems like yesterday millennials were all kids in braces who had barely made it out of middle school and into high school, yet today they’re young adults in their twenties and early thirties. In fact, not only are millennials growing up, but they’re also entering the home buying arena in a significant way. First, as of last year, millennials made up 35% of home buyers in the United States, which represented a 3% increase over 2014. Not only that, but for the past three years, millennials have been the largest demographic of home buyers in the country, and that trend doesn’t look to be fading out any time soon. An estimated 56% of Millennials go online when they begin their search for a home of their own. Some start by looking online for properties in their area and price range, while others look for information on real estate and the buying process to help them understand what to expect when they find a house and make an offer. While many young people talk about never leaving the city centers where they work and play, we’ve seen significant number increases in millennials buying homes outside of those city centers. Not only that, but it looks as though millennials are starting to prefer the suburbs, as the number of young home buyers in central urban areas went from 21% to 17% two years ago. While not all millennials have parents with excess cash lying around, young home buyers today aren’t afraid to get some help from family or friends. According to one study, 23% of buyers in this demographic have used a financial gift to help make the down payment on their first home. While millennials constitute the largest group of home buyers in the country, not all of them are buying houses right now. In fact, a lot of young professionals are waiting to buy their first homes until they are in their thirties, which is good news for real estate investors holding attractive rental properties. Right now, millennials are the group to watch, Though they’re moving to new cities for work, they’re not afraid to buy houses in the suburbs. They make up the largest buying demographic in the country, but they’re also a significant fraction of the rental market. If you’re fresh at purchasing real estate, you might want to read this over and then recruit the help of reputable real estate agents. Professionals have resources you don’t, including computer software that allows one to effectively search all MLS listings. The MLS tools available to professionals are more detailed than those accessible by the average individual, and are able to advise you with greater accuracy and insight. Many first-time home buyers don’t take the time to get prequalified. They also often don’t take the time to shop around to find the best mortgage for their particular situation. It’s important to ask plenty of questions and make sure you understand the home loan process completely. Getting pre-approved gives the buyer a chance to find out how much home they can afford. A competent loan officer will tell the buyer not only the principal and interest payments per month, but also the estimated taxes, insurance and mortgage insurance monthly amounts. This gives the borrower a true number to work with in order to decide their comfort zone when looking at potential properties. Also, sellers will be more interested in negotiating with you, and accepting you as their purchaser, if you’re working with a good RE agent, and if you’ve already been preapproved for a mortgage loan. If you are not preapproved, it can lengthen the timeline of the purchasing process, and can result in additional costs. Buying real estate isn’t as difficult as it might seem. You need to take some time to educate yourself and ask lots of questions. If, you use these tips, then you’ll be able to make a wise decision on your next real estate purchase. Call me to make your home buying easier ( 917-952-7364 ). Should You Wait To Make Home Renovations? There’s been impressive growth in the real estate sector in recent years, and this has led to increased opportunities for homebuyers of all budgets. As the real estate market becomes increasingly competitive, these homes are becoming even smarter investment choices for well-informed home buyers. One of the advantages of such homes is you can modify them to one’s personal preferences and increase the value of your asset in the process. Though, it’s often recommended that as a homebuyer, you take your time and live in your newly purchased home before doing any major renovations or expensive house improvements. It’s okay and even advisable to make minor changes, such as plumbing and lighting repairs, but major remodeling work might better be postponed until a later date. Below are some reasons why it’s a good idea to keep sizable home improvements on hold until you’ve inhabited your new home for a spell. Living in your new home before making permanent upgrades places you in a better position to make informed decisions on any changes. Even if you have visualized as to how you want your home to be, you might never be able to tell exactly if the new house will serve you well, until you have lived in it for a spell. Waiting to make improvements will provide you with vital information on certain aspects that will or will not work in your favor or according to your preferences. The daily experiences you have will substantially influence your eventual decision on updates you wish to make. Purchasing a home is, for many people, one of the most significant assets they will ever make in their whole lives. Subsequently, it goes without saying that home buyers can go through a very stressful period when closing on their homes. You will likely have made some significant changes in your standard of living to get the home you desire. As such, you will need sufficient time to recover from the financial impact of home buying. And, home improvements are not exactly cheap or easy to complete. It is an extremely important process that requires considerable investment regarding energy, time and money, all of which, may have been exhausted in the home buying process. You do not want to put yourself through all these stresses in such a short period of time. Therefore, it is prudent to wait for a while before undertaking any home Improvements or modifications. One of the reasons many homeowners conduct renovations as soon as possible is to avoid the feeling like their home is not complete. They also say the trouble of paying for the improvements later on, in addition to other expenses such as a mortgage and utilities. For any home improvements to be successful, requires proper planning and preceding arrangements on your part, and it doesn’t matter how small it may be, remodeling your home will take a lot of time and will require consultation with several contractors, architects, as well as interior and exterior designers. There are many listed contractors on the market nowadays. That means getting the right one can be a daunting task in itself, and you don’t want to hire a contractor under rigid time constraints. These parties will offer professional opinions on the many aspects involved in renovating your house. Enlisting the services of the best contractors should ensure that you are happy with the end results, and may end up saving you some money in the long run. At the moment, it may make financial sense, but in the long-term, it can cause certain problems. Therefore, it is crucial to allocate some time to plan and arrange for the renovations properly. No matter which home you decide to buy, there will always be some repairs and work you’ll have to in the future. BrooklynnyBPO agents bring the whole package to the table. You are anxious and excited to be purchasing your home and we want you to know, you will not walk alone. We bring a wealth of knowledge and partners with us. Take a peek. Brooklynnybpo.com LLC is made up of people, and people buy homes. We’re not just experienced real estate professionals in the New York City, Brooklyn, Bronx, Queens, and Staten Island real estate markets, we’re home buyers too. It takes more than a trained real estate agent to understand the needs and concerns of buyer clients. It takes someone who has been there, someone who has the same concerns when they’re home shopping. There is an old saying that goes no one has your best interest at heart except you. Even though that is usually the case, real estate transactions don’t have to be like that. Buyers always have the opportunity to sign what is called a buyer’s agency agreement, which tells you what services the agent provides. It’s ideal to work directly with a real estate agent who can provide plenty of information they usually wouldn’t be able to give to other home sellers. Questions about your school district, details about the neighborhood, and property details will all be at your disposal with this arrangement. Your buyer’s agent should have your best interest at heart and do everything possible to give you quality service while making sure all of your questions are answered. You will come out on top. The more information you have from a reliable source will give you a better home buying experience. Whether you’re a first-time or last time buyer, you want to know you’re getting a deal, and you will be safe, secure, and happy with the property of your choice. All the more reason to do some homework and choose an agent that has the qualities you are looking for. Here are four reasons why buyers require their own agent while looking to purchase their new home. Some buyers are very perceptive, and pay much attention to detail to see what exactly it is that they’re buying. When some walk into a home, they are so excited that they fail to recognize some of the shortcomings of the home that could end up being deal breakers. It is understandable that you’re excited and want to get to the house that is the one for you, but beware of rushing because you may miss some of the finer points of the property. Maybe the roof is missing a few shingles. Perhaps the structure is a bit off. How is the curb appeal when you’re looking at the home from the outside? Your agent should be on alert to spot any imperfections or potential issues before you cross the threshold. No worries, an agent worth their salt should be pointing out all the intangibles so you can concentrate on the details important to you. Negotiation power is one of the likeliest real estate areas where not having your own agent can cost you a lot of money. Unless you are skilled at determining which property imperfections or home inspection issues typically equate to a lower price, or know when the time is right to ask for additional assistance, it is best to let a skilled agent handle this for you. What are the most important factors when selling a home? Selling your home takes much more than simply putting a price tag on it than advertising it on the internet. The price a home will sell for is dictated by many factors, and also determines how quickly that home will sell. The end game for selling your home is to put forth a home that buyers will want to make an offer on. Below are some things to keep in mind when you’re trying to sell your home. Pricing is one of the most important things to consider when selling a home. Correctly pricing a home is part science since it involves looking at similar home sales from recent past sales to assist in setting a base price. If you price a $500,000 home for one million dollars, not only will you not get any serious buyers, and may get no offers at all. Hiring a local Realtor’s expertise to help you in the selling your home is important if you want to get the best price, with the shortest time on market, specifically because he knows best of your local market. If you want to sell it’s important to price your home according to current market conditions. The real estate market is constantly changing, and market condition fluctuations can have a profound effect on property values. It’s imperative to select your list price based on the most current comparable sales in your area. A comparative market analysis provides background data to help you base your list-price. When you prepare to sell and interview agents, be sure to study each agent’s comparable report and the data should be from within the last few months. If all agents agree on a price range for your home, then go with the consensus. There are many websites like Realtor, Zillow, Trulia and local searches at most realtor sites. They all offer almost everything listed for sale. If that’s not your route, then a real estate agent is a good source for finding out the status of the local housing market. So is your statewide association of Realtors, most of which are continuously compiling such statistics from local real estate boards. What’s the difference between appraised value and market value? The appraised value of a house is a certified appraiser’s opinion of the worth of a home at a given point in time. Lenders require appraisals as part of the loan application process; fees range from $200 to $300. Market value is what price the house will be at that point in time. A comparative market analysis is an informal estimate of market value, based on sales of comparable properties, performed by a real estate agent or broker. What’s the difference between list price, sale price & appraised value? The list price is a seller’s advertised price, a figure that usually is only an estimate of what the seller wants to get. The appraisal value is an appraiser’s estimate of the value of a property and based on other comparable sales, the condition of the individual property and the neighborhood. A property’s condition is a key factor in the type of buyers it attracts. If your home is not well prepared to go on sale then it will attract primarily value buyers and investors looking for a good deal on a home that they can fix while living in it, or fix and flip it for a quick profit. Most buyers you will find will be looking for a home that is ready to move into without needing much work. The condition of your landscaping is the first impression for buyers arriving. Curb appeal is referring to homes front and how buyers will perceive the inside when seeing the outside. If your home exterior is appealing to buyers then they’re more likely to want to see the rest of the home as well. And, that’s that! The location of your home greatly affects the pricing and desirability for most buyers. If your home has a great view and is located by a lake, riverfront, has a great view of the downtown city, or is in a neighborhood surrounded by similar high priced homes, buyers will appreciate those features and your ability to sell the home is easier. Take a good look at the home’s overall appeal when considering updates. Look at the age of appliances and other mechanical systems, as well as the floorplan. Based on when your home was built the trend may have been more enclosed rooms with little openness in the flow of the home. Current home building trends are more towards open floor plans with plenty of windows to allow in light and fresh air. While your appliances may be in great condition, if they are 10 years or older their efficiency is lower compared to newer models which means increased energy costs for the buyers. New appliances give your home a more modern convenience look and today’s buyers will be more appreciative of something newer that won’t need replacing soon. Home staging helps homes sell quicker and usually sell for more than they would have without. Applying common staging tips like decluttering, depersonalizing and using a neutral décor helps position your home better than non-staged homes on the market. Home staging is an advantage you can use to help sell your home for top dollar. When is the best time to be in the market? Many people prefer to move in the spring or summer, and the market has seasons where it starts to heat up as early as February as many families are eager to act so they can move during the summer vacation, and before the new school year begins. The market starts slowing down in late summer, before picking up briefly in the fall. November and December are traditionally slow months, and many astute buyers go bargain hunting during this slow period. Even in a down market, real estate experts say that price and condition are the two most important factors in selling a home. If you are selling in a slow market, your first step would be to lower your price. Also, go through the house and see if there are cosmetic defects that you missed and can be repaired. Secondly, you need to make sure that the home is getting the exposure it deserves through open houses, broker open houses, advertising, good signage, and listings on the local Multiple Listing Service (MLS) and on the Internet. Another option is to pull your house off the market and wait for the market to improve. Finally, if you have no equity in the house, and need to sell because of a divorce or financial considerations, you could discuss a short sale or a deed-in-lieu-of- foreclosure with your lender. Call me to discuss the details for a hassle free sale of your property.